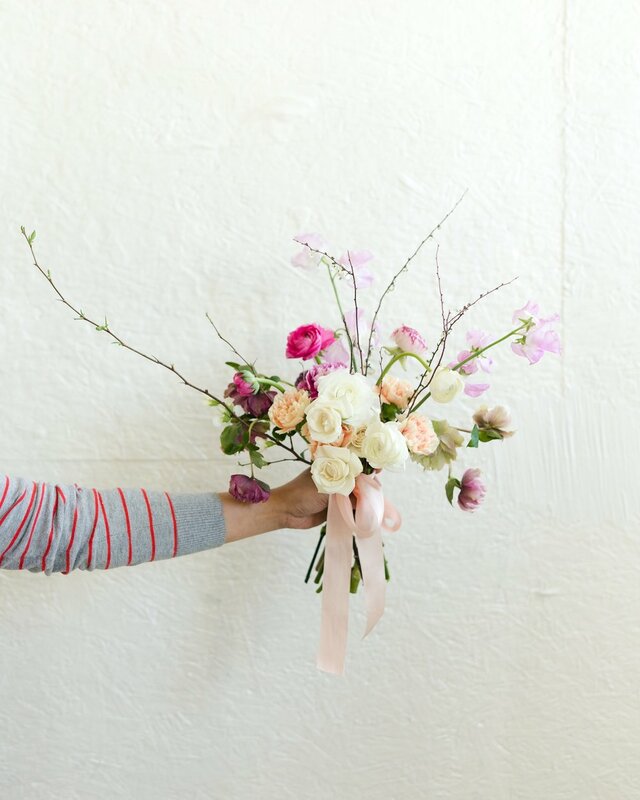 If you’ve ever wanted to get a job working for a wedding florist - start here. 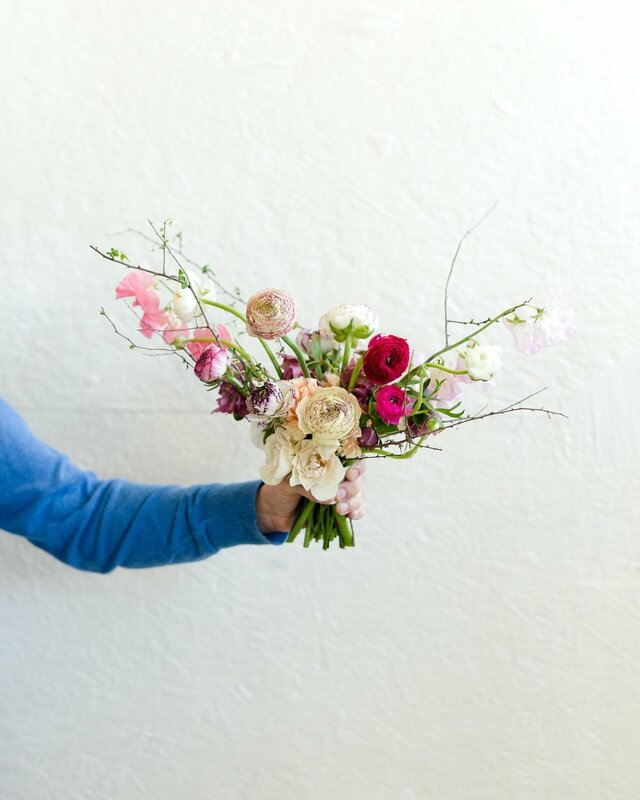 The Flower Freelance Intensive is a multi-day workshop that teaches you everything you need to know to be successful as a freelance floral designer. Sophie Felts and Sue Prutting are the hostesses and generously share all their extensive knowledge and experience in floral design with the attendees. I was honored to be invited as a guest teacher last year and I met so many wonderful new designers that I was able to hire for multiple events. This year’s new line up of teachers is equally exciting and I’m looking forward to meeting a new batch of freelancers! 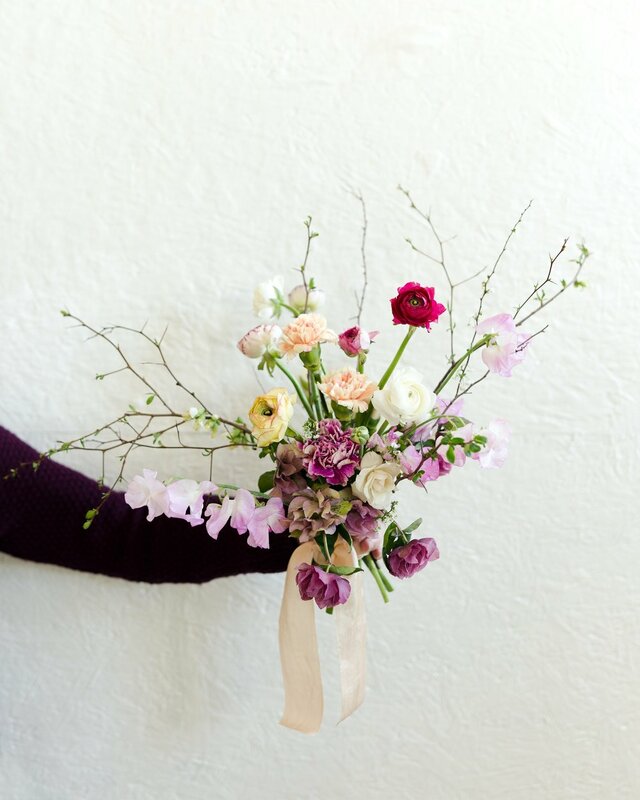 Last year, Sophie asked me to teach my more sparse and minimal approach to bouquets and small table pieces. 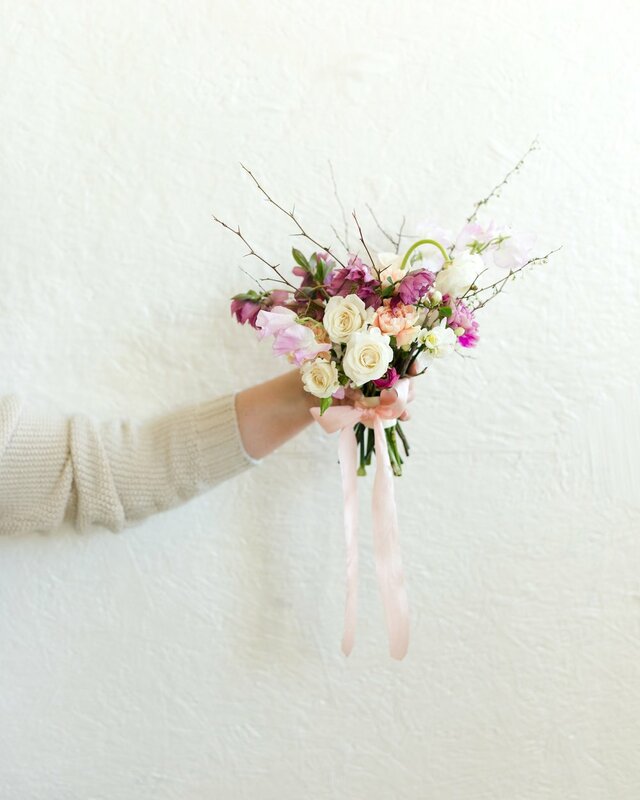 The bouquet ingredients were beautiful but definitely a challenge to design with and required a lot of patience. It was so interesting to see the students’ interpretation of the design - all having been given fairly similar ingredients. I stayed on after lunch to help out with a fun project of building large installations. I think this was a race? My memory is not so good - this should teach me to post about things as they happen vs. a year later! The class divided into 3 groups - Sue’s group constructed a huge hanging installation, Sophie’s group did an oversized pergola/chuppah structure, and my group did a ceremony arch. It was amazing how quickly all of these designs came together with so many students working on each one. I also love that the flowers we used for our arch were leftovers - so it was a great test of the students’ editing skills to choose a combination from what we had to work with that was intentional and impactful. The kind and talented Jen from Jen S Photography was on hand to document the class and did such a beautiful job capturing all the student work. Thanks for sharing the images Jen! Find out more about the course and register at the link below. Spaces are limited and filling fast! I’d also like to mention this course is an incredible value. 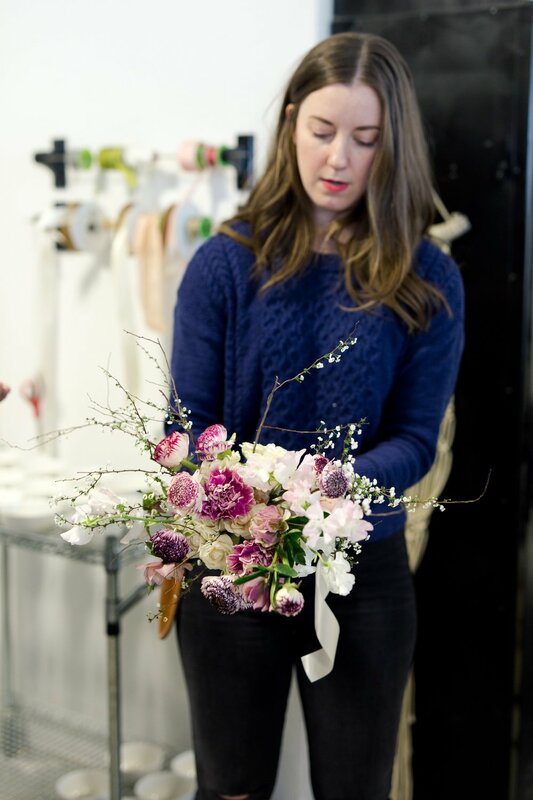 I’ve attended floral workshops in the past that were the same price but only a tiny fraction of the amount of practice and course content you receive from this course. If you’re looking for very very specific training on becoming a freelance designer, this course is a must! My podcast interview with Team Flower is live - tune in to our discussion about overcoming limitations in design and business by trying new ventures, disabling creative blocks, and maintaining a fresh outlook. Thanks so much to Kelly and Janine for chatting with me - it's an honor to be featured on one of my favorite podcasts. 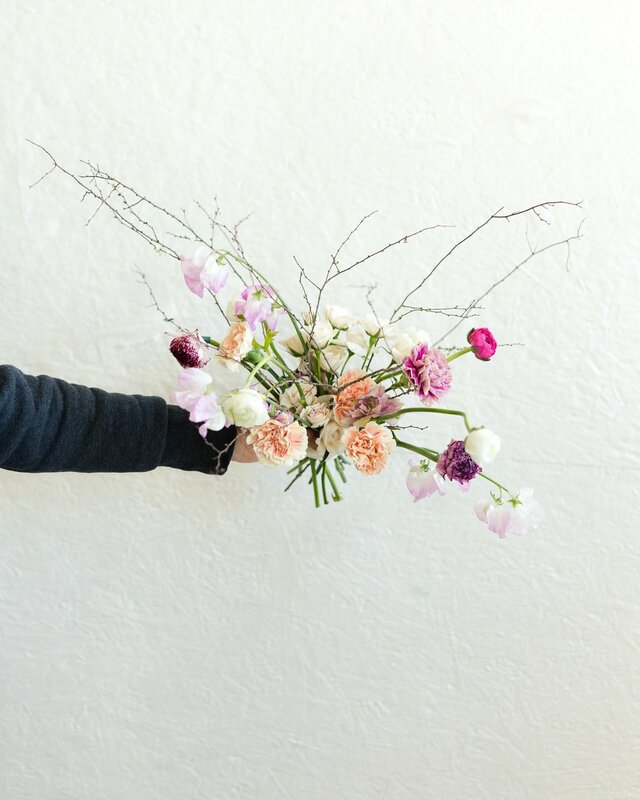 Be sure to peruse all of Team Flower's other wonderful podcast episodes for more behind the scenes insight into the business of floral design. I'm so excited to share a creative endeavor I've launched with my friend, local artist Colleen West. We've teamed up to offer botanical items beyond the wedding realm such as products, workshops, pop-up shops, and everyday floral arrangements. You can find out more about our collaboration, and visit our online shop at wldwst.co. Our first official wldwst project is offering fresh flower centerpieces for Thanksgiving. 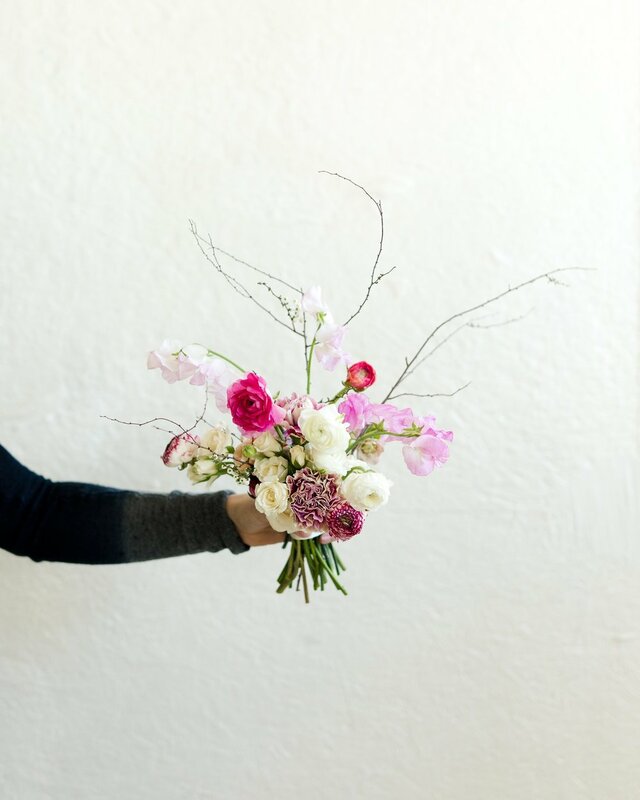 These modern, seasonal arrangements are filled with soft blooms, local foliage and grasses, and designed in hand-made, ceramic bowls designed just for us by local potter, The White Hearth. Thanks infinity to our brilliant, creative friend, Angela Newton Roy for the perfect photographs! To find out more about wldwst, preorder your Thanksgiving centerpiece, or learn about upcoming events (2 exciting workshops in December!) visit our online home wldwst.co. If you want to be notified of new products and workshops, sign up on our email list by clicking below. 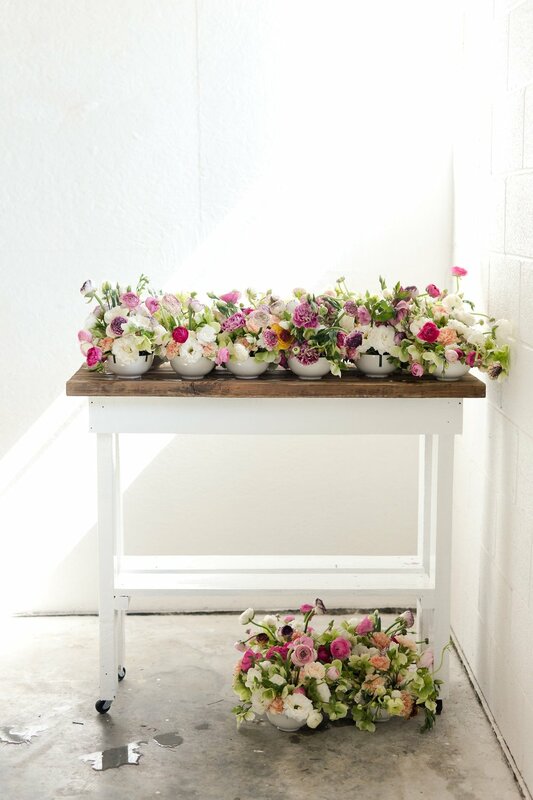 Wild Green Yonder creates naturally elegant, garden derived floral arrangements for weddings, events, and every day gatherings. Our journal is a sampling of our work, news about special events including workshops and pop-ups, and all the botanically inclined things that inspire us. 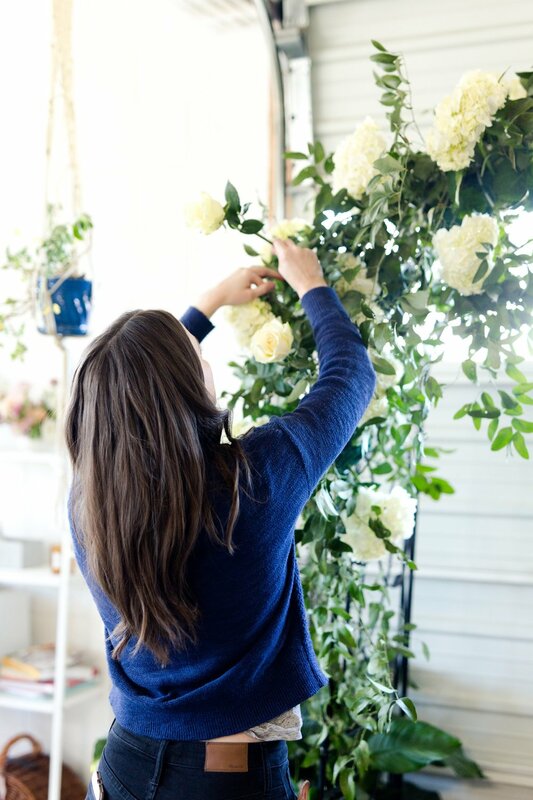 To see our most current work, behind the scenes of our floral studio, epic scenes of nature (and many a flower close-up), follow us on instagram. Be the first to know about pop-up shops, workshops, and other special events by signing up for our mailing list. We respect your privacy and you may unsubscribe at any time.